Build Your Own At-Home Exercise Program with Work Your M.O.T.O.R. Saebo is excited to partner with Work Your M.O.T.O.R. in the development of a new home exercise mobile app for patients. 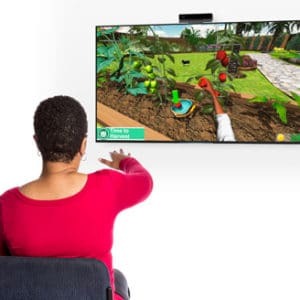 Work your M.O.T.O.R (Motivating Occupational Therapists Optimizing Rehab) is an online exercise program for anyone who has had a stroke or brain injury. 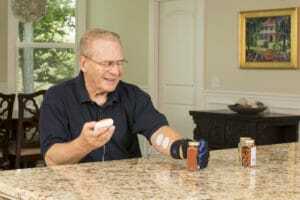 The exercises are light, fun and creative to help continue your recovery at home. The Work Your M.O.T.O.R staff has over 25 years combined experience working as occupational therapists in both inpatient and outpatient settings specializing in stroke rehabilitation. The exercise team has the added benefit of real life stroke survivors who understand what you are going through, every step of the way. Work Your M.O.T.O.R series include: stretching, upper and lower body strengthening, standing balance, core exercises and fine motor coordination. Each workout is 20 minutes or less and can be completed from the comfort of your own home. 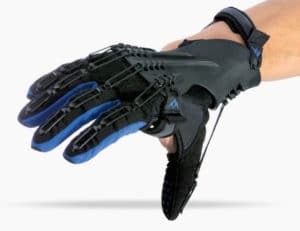 Internationally renowned stroke rehabilitation company, Saebo, Inc. was recently awarded a patent for the SaeboGlove, a revolutionary post-stroke hand rehabilitation device. 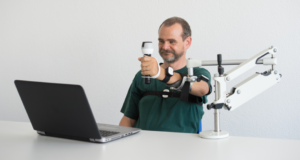 CHARLOTTE, N.C. – July 6, 2017 – Saebo, Inc., a medical device company specializing in affordable and novel clinical solutions designed to improve mobility and function, announced on Thursday a new patent awarded for the SaeboGlove, a hand rehabilitation product launched in the Summer of 2016 that has since gained international attention as one of the most effective and comfortable hand solutions on the market.